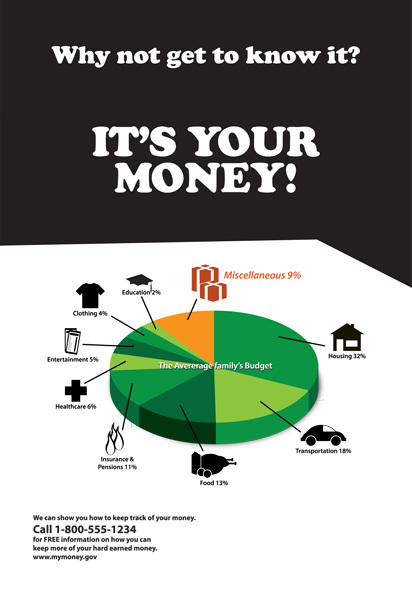 Poster: It’s your money, why not keep it? 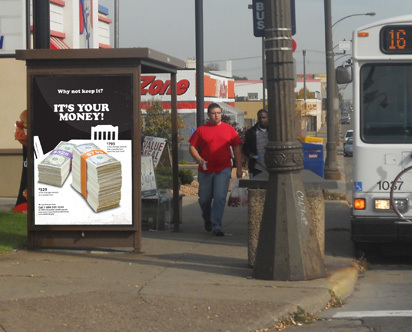 Payday and cash advance lenders target populations with low income, and education. These lenders charge a very high rate for borrowing money. 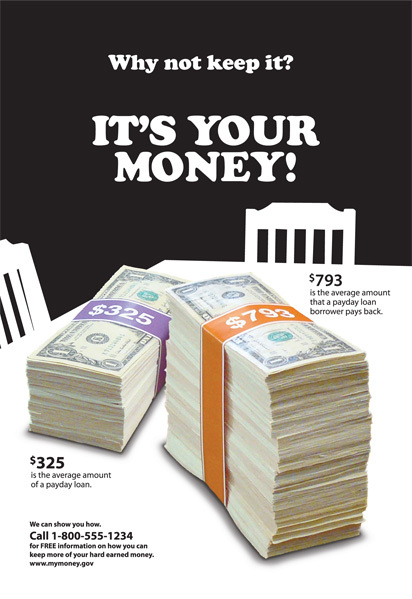 With this series of financial education advocacy posters I attempt to reach an audience that unfortunately gets financially preyed upon, causing an increasing cycle of debt and the inability to get ahead in life. This audience most likely rents, does not own a vehicle, and rides public transportation so a bus campaign is an ideal vehicle for this particular advocacy program. With these posters I attempt to catch the attention of the audience while visualizing data on the topic in an interesting and appealing manner that does not talk down to the audience or over their heads. 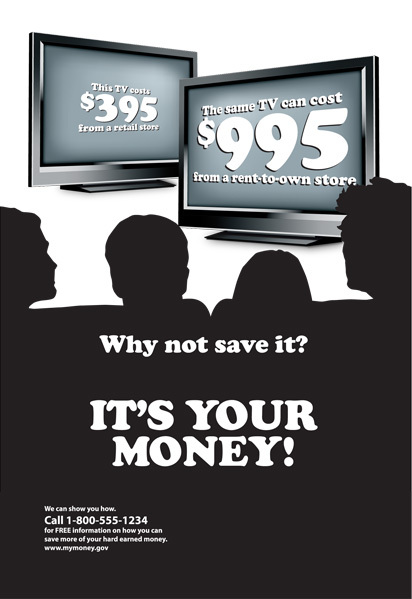 It’s your money, why not save it? It’s your money, why not get to know it? It’s your money, why not keep it?